2013 was a great year for my blog! Thank you so much for all your support, comment love and input! I looked back at the lunches and recipes I made this year and compiled my favorites from each month to share with you. Whole Grain Pizza Pocket School Lunch in Easylunchboxes. 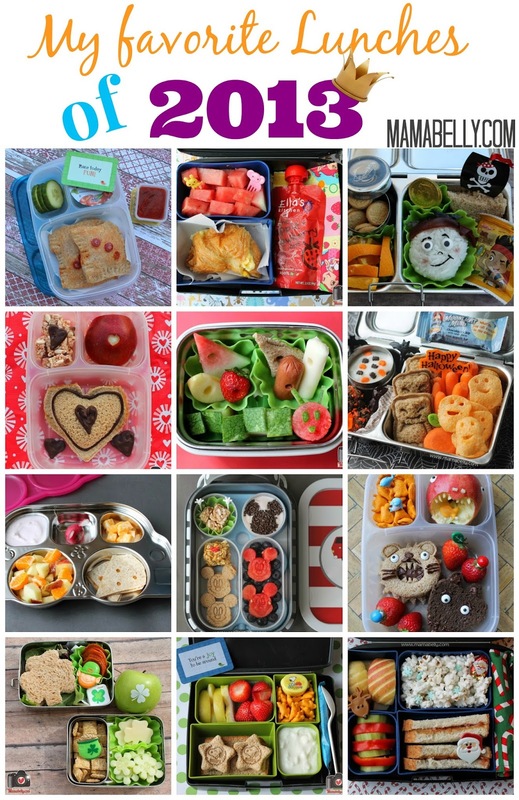 This is not only a favorite post but a favorite lunch we pack a lot. For more info click on the picture! Valentine's School Lunch in Easylunchboxes packed with lots of love. Kiss me! I'm Irish! We love St. Paddy's Day and of course I had to pack one in our ECOlunchbox for school as well. My daughter loves her Din Din Platter from Innobaby and we both loved this Mouse lunch! Instead of going through the Drive-thru we packed this breakfast to go in our Laptop Lunches bento box! We love Eric Carle's The Very Hungry Caterpillar book and on his birthday we packed a special lunch in our Innobaby bento box! 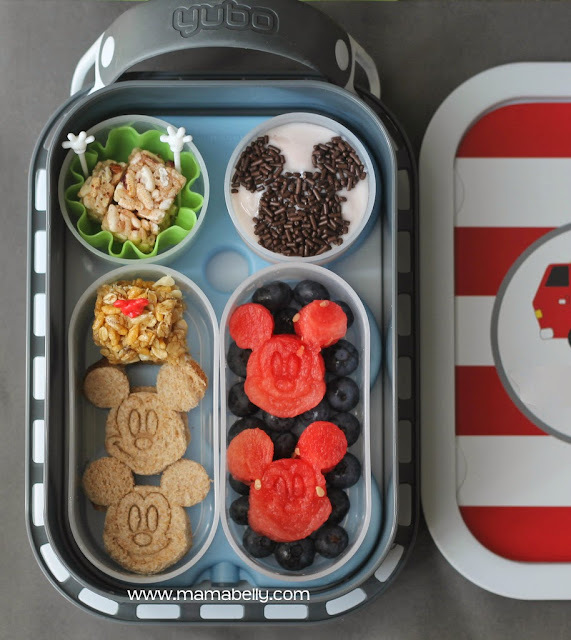 We love Mickey Mouse and after finding these adorable cutters on Ebay we packed a fun Mickey lunch in our yubo! The first day of school was filled with excitement and a Snoopy lunch in our Laptop Lunches bento box! Argh! International Talk Like A Pirate Day comes only once a year, Mateys! We loved celebrating it with a Jake and the Neverland Pirate Lunch in our Planetbox Shuttle! A spooky Halloween lunch in our Planetbox Shuttle! I started contributing to a fabulous new blog this year: The Little Crooked Cottage! This is my favorite Literary Lunch - again in Easylunchboxes - so far! A hilarious book that portraits what happens when some of the world's best known carnivores - the lion, great white shark and wolf - share that their feelings get hurt when they are labeled as meanies. I love making Christmas lunches so it was hard to pick but I do love this Christmas bento in our Laptop Lunches! Which one was your favorite? I would love to hear! Have a very happy 2014 and may all your dreams for the new year come true! Glad you liked the post! I love round ups! Have fun! What a great collection! Looking forward to seeing what the new year has in store!